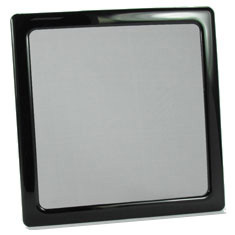 DEMCiflex computer air filters are designed to help keep your PC dust-free. The simple one-piece construction and magnetic adhesion of the DEMCiflex fan filter allows easy removal and cleaning of the re-usable, plastic filter. Material: Medical grade high precision mesh. Flexible magnetic strip.